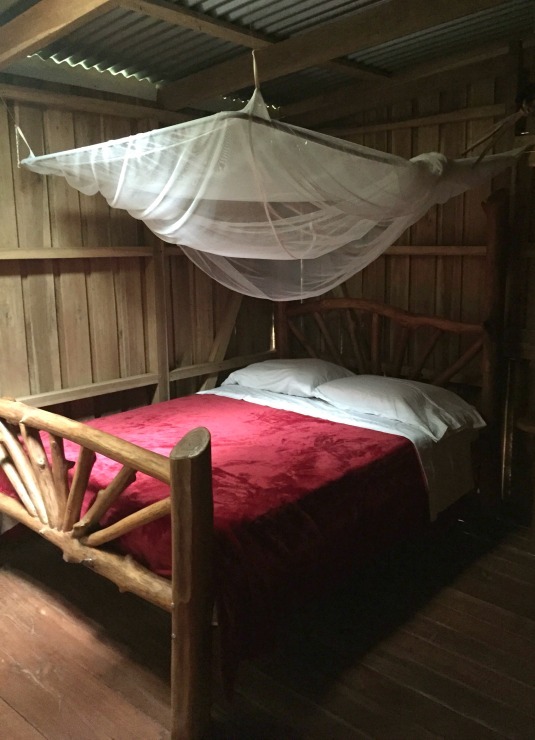 If you’re traveling to Costa Rica and looking for a unique place to stay, you should definitely consider La Carolina Lodge. I’m going to try to describe this magical place to the best of my ability, but if my words fail me, hopefully my pictures will help paint the picture. This is a place to unplug people. Put down the cell phone. Your Instagram post can wait a day or two. Be in the moment. Take a deep breath and enjoy a little slice of paradise. 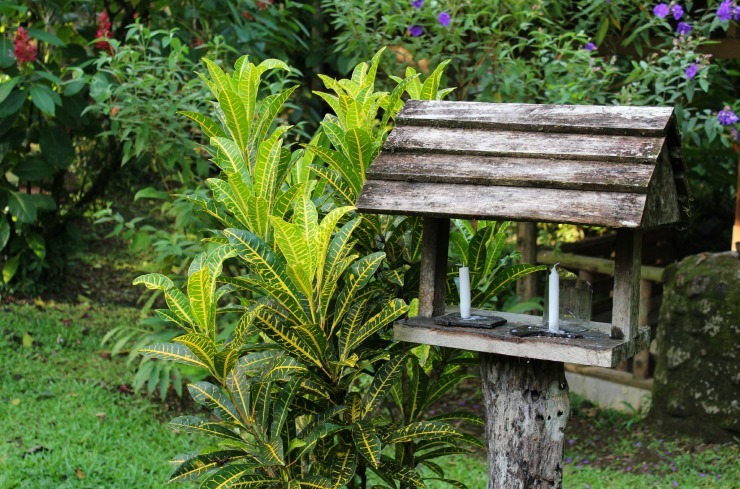 One of the main reasons why La Carolina Lodge is so special is because it’s a bit off the grid. If you cannot be disconnected for 48-hours then please stop reading here and head to the closest all-inclusive resort you can find. 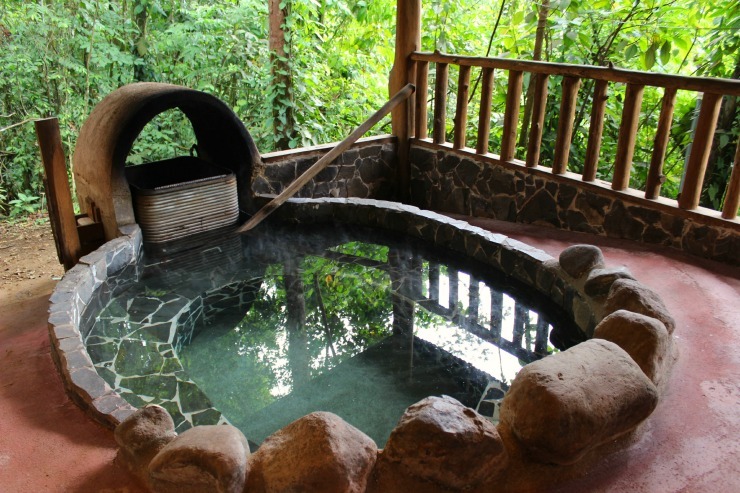 Located in the Guanacaste region, this 170-acre ranch is an oasis of pure Costa Rican beauty. 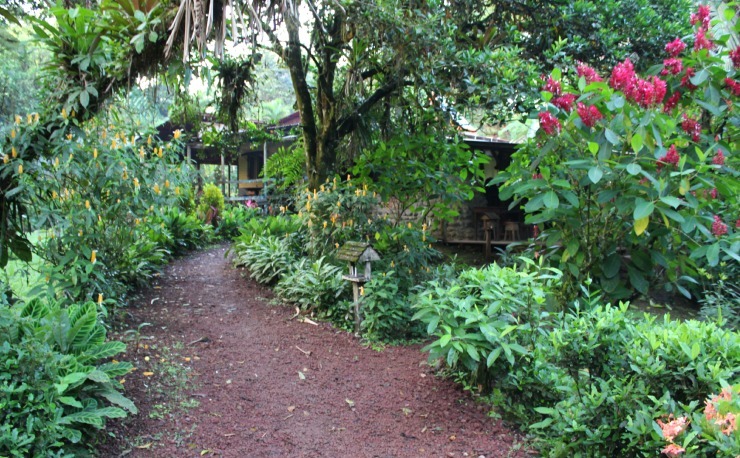 La Carolina Lodge is located very close to the Tenorio Volcano National Park and the Rio Celeste Waterfall. 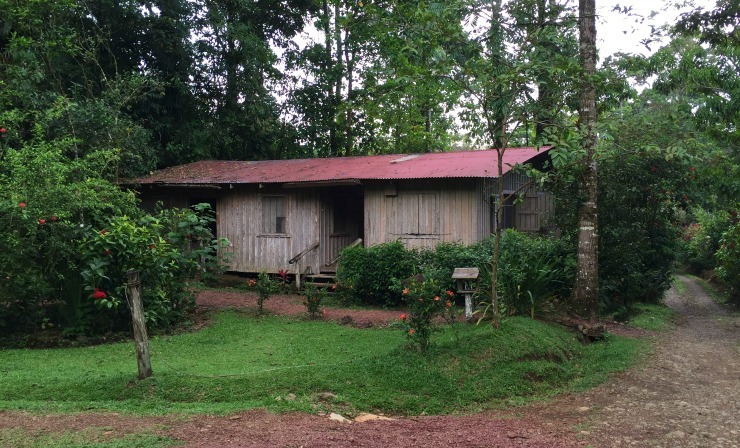 If hiking the Rio Celeste waterfall is on your list of things to do and see, then this is a great place to stay because you’ll be nearby. 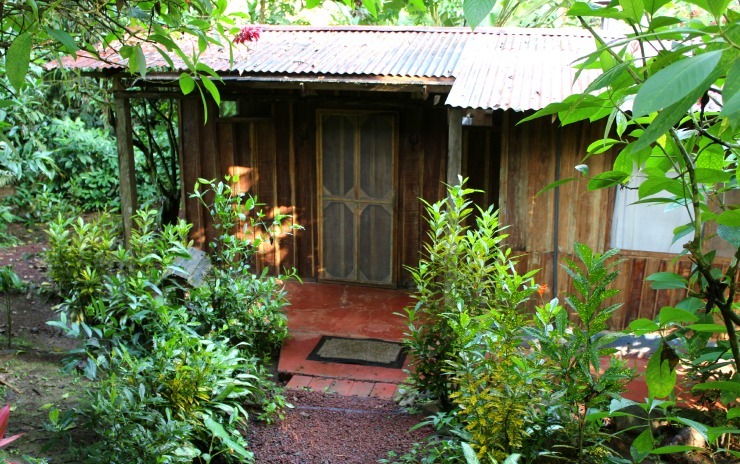 The cabins at the resort are very basic and there is very little electricity. 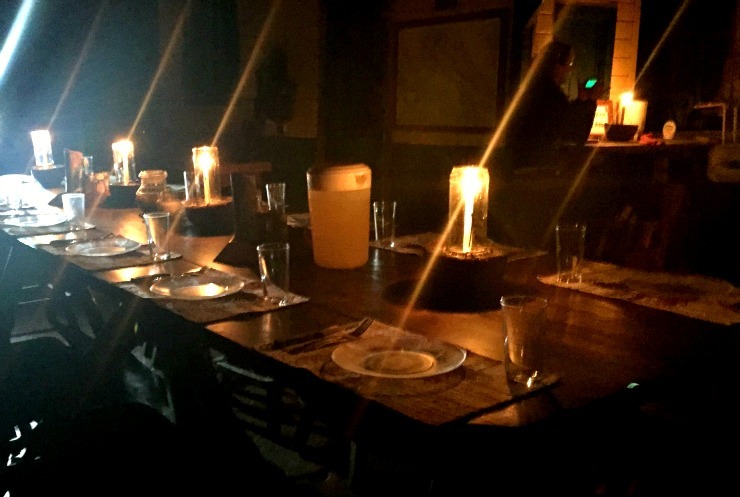 Your cabin will have a lamp or two, but that is about it. There is running water, fully operational bathrooms and showers, of course, but this is a bit more like camping than staying at a traditional resort. 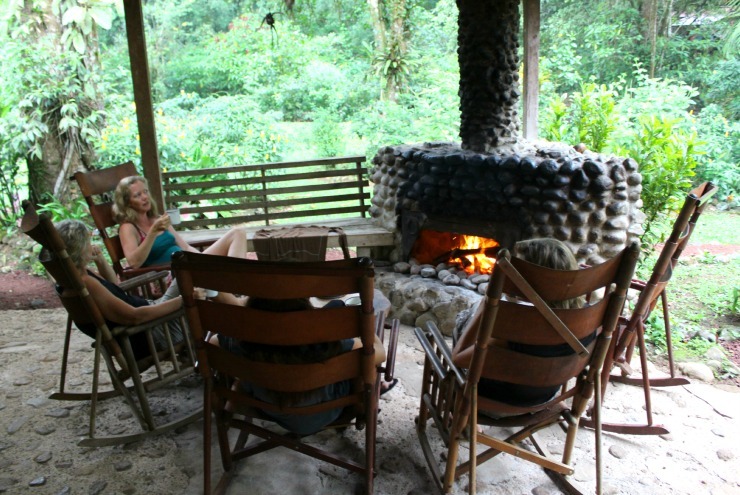 But do not let that deter you — La Carolina Lodge is an incredible experience for those looking for a truly authentic Costa Rican experience. Beyond the setting, the staff at La Carolina Lodge have all been here for years — this is their home and they treat you as honored guests. It is cooler in this area of the country and it will probably rain a little, depending on what time of year you come, so bring a pair of pants and a light jacket. 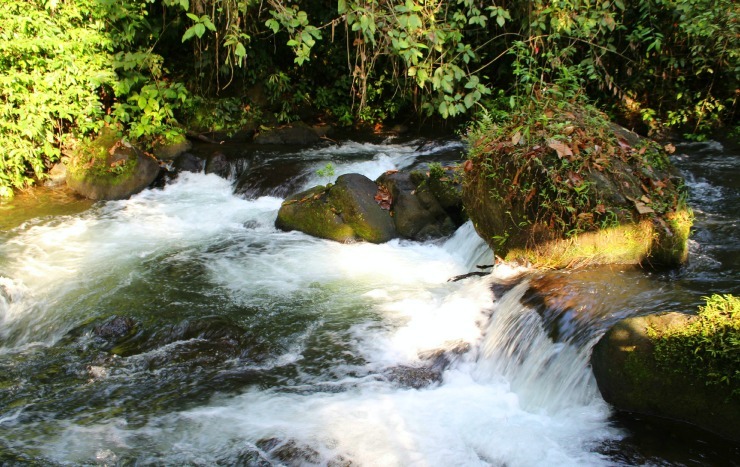 If you are heading to hike the Rio Celeste Waterfall, be sure to bring a pair of closed-toe hiking shoes or an old pair of tennis shoes that can get muddy. 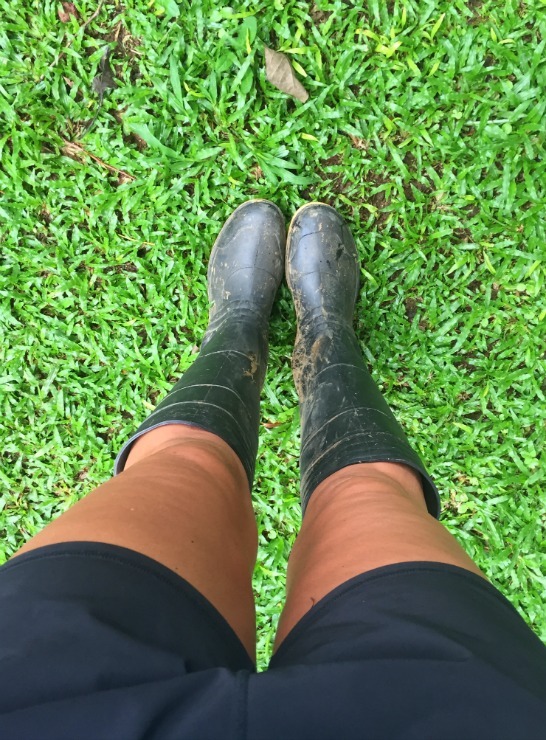 La Carolina Lodge offers rain boots for their guests, so if you forget to bring something (like I did), you can wear a pair of their knee-high English wellies. 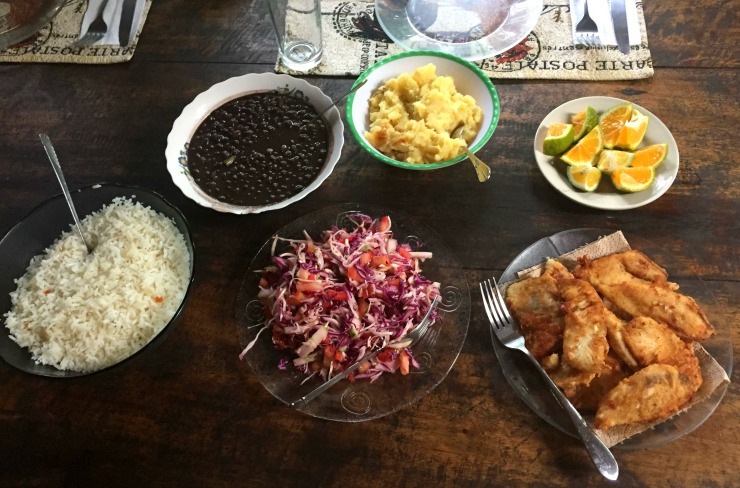 Typical Costa Rican meal of rice and beans, fish and salads. Note: If you have special dietary restrictions you will need to talk to them ahead of time or plan on bringing some of your own snacks and food. 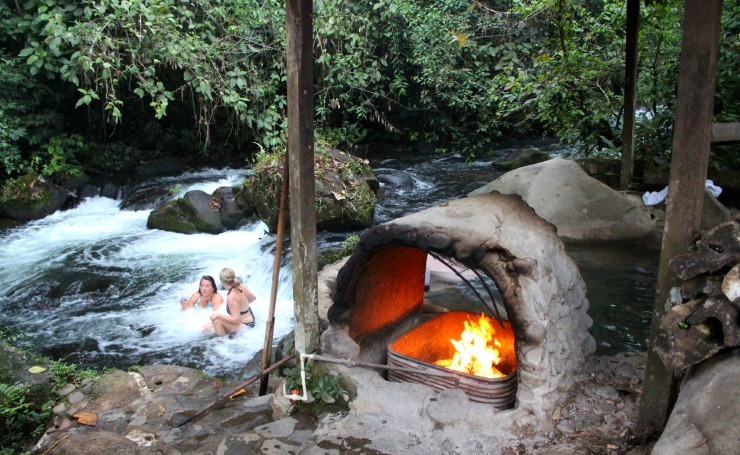 The sound of a roaring rushing river and the natural heated hot tub —not sure I need to say more! 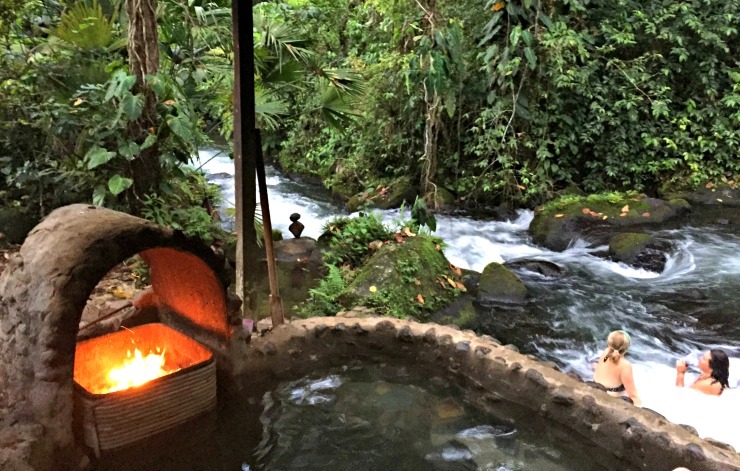 At dusk, while you are soaking in the hot tub, they light the walkways by candlelight. We went for an hour horseback ride and it felt like I was riding through an enchanting forest inside the pages of a storybook. 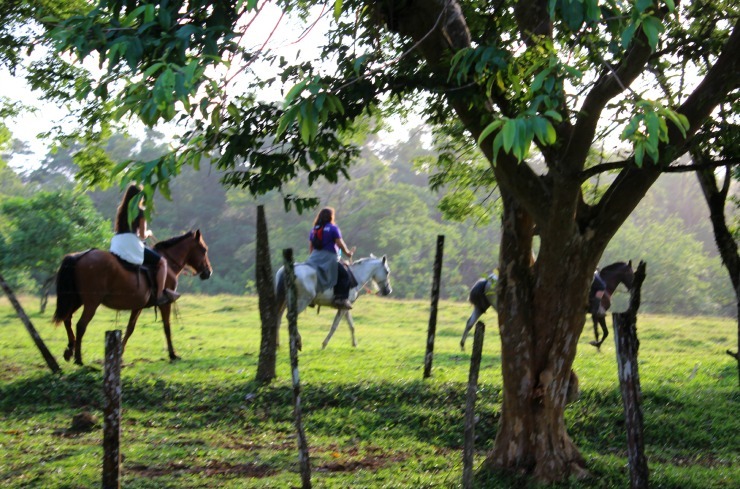 The best horseback riding experience for me ever! 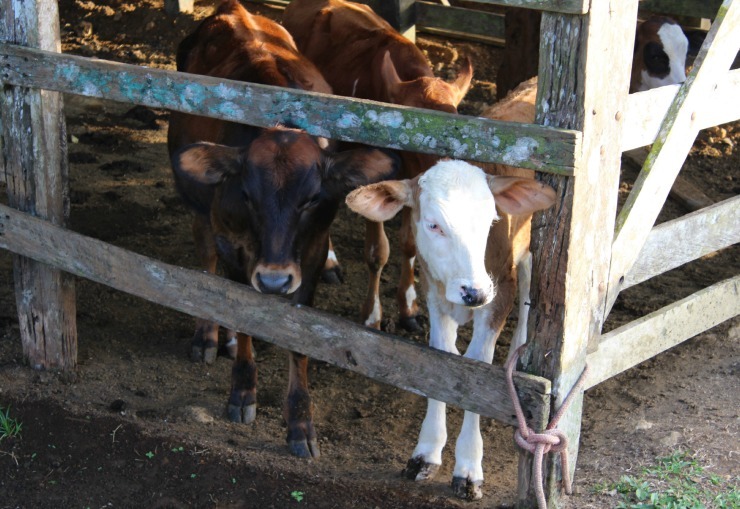 There are even cows for you or your kids to milk! Many expats that live in Costa Rica live at the beach where it is very hot, so escaping the heat and heading inland is very refreshing. Everyone who lives here knows about La Carolina Lodge and it is an absolute favorite among the locals. In fact, my daughter was lucky enough to go to La Carolina Lodge on a class field trip! La Paz Community School has been bringing the 5th grade class here for an educational overnight for the past 7 years. It’s a special field trip that all the students and teachers look forward to. My daughter came back and could not stop talking about this trip! 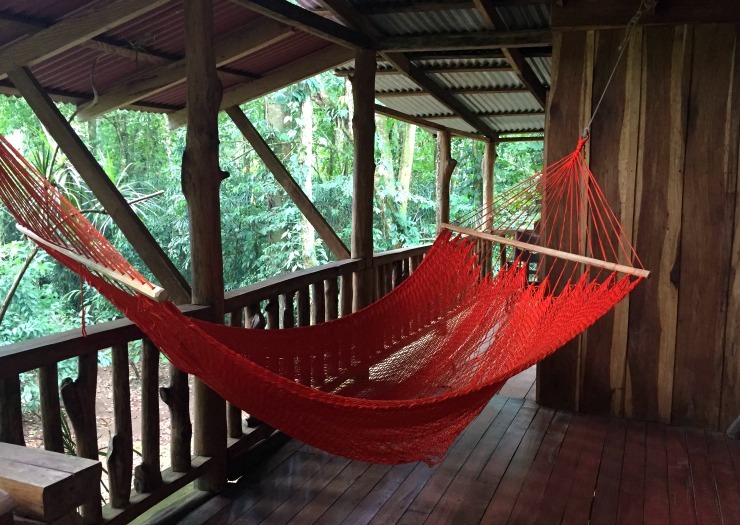 Staying at La Carolina Lodge is a unique experience. 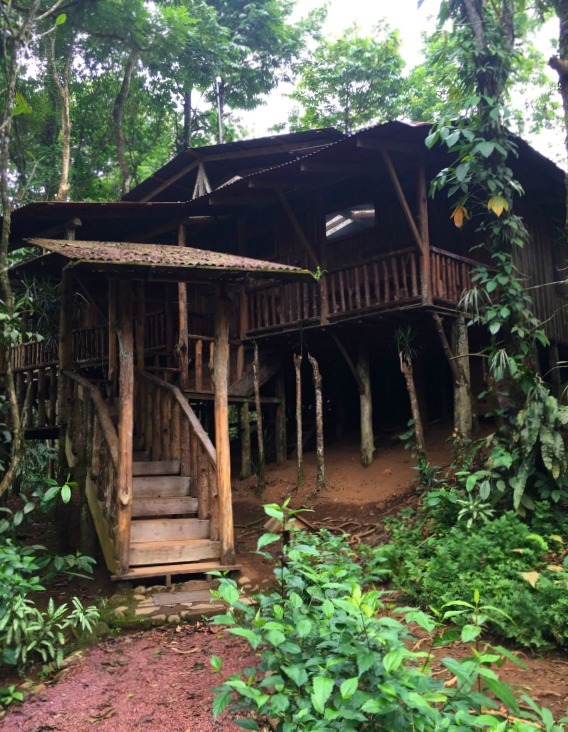 I realize this may not be for everyone, but this is definately the place to stay if you want to be immersed in the natural beauty and culture of Costa Rica. Did I mentioned I LOVED it here!? 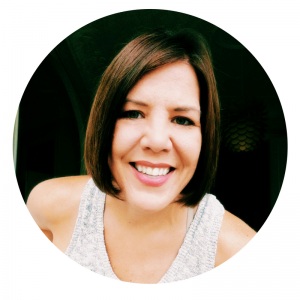 I went to La Carolina Lodge on a La Paz Moms Group overnight. This was not a media stay. Must see! Thanks for this. It looks perfect. Very beautiful and fun place to stay and explore, but at 80-100 per person per night, as the number of family members increase, I feel the value decreases. Horseback riding used to be included in the price, but now it’s an extra expense. Again, a very fun place to go, at least once.